MMA legends Vitor Belfort and Dan Henderson first met seven years ago in October 2006, at Pride 32: Real Deal in Las Vegas. On that night, the two sluggers met at light heavyweight, Henderson took home the victory with a three-round unanimous decision over the Brazilian phenom. Since that October night in the desert, both Hendo and his South American counterpart have gone on to find success, both inside and outside of the Octagon. 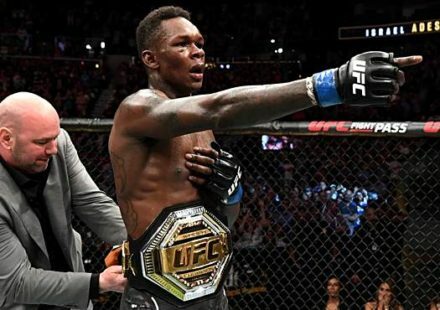 On Saturday night, the two fist-fighting stalwarts met once again at light heavyweight, serving as the main event of UFC Fight Night 32, emanating from Goiania, Brazil. The action kicked off inside the Goiania Arena with Belfort’s hometown fans roaring with approval as the surging Brazilian looked to hand Henderson his third consecutive loss – a once unimaginable premise for the aging 43-year-old legend. The two combatants met in the center of the cage with a touch of gloves and the fight was off and running. It was a lackluster first 60 seconds, with both fighters showing immense respect for one another’s power. 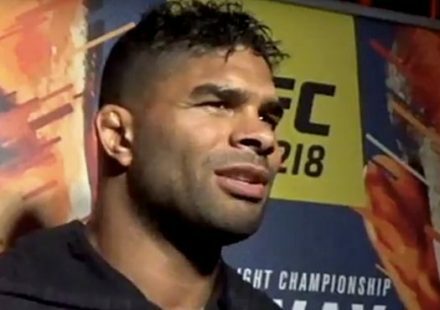 As Henderson stalked forward looking for his patented “H-Bomb,” Belfort circled away with the newfound patience he’s shown in his last few outings. As the first minute came to a close, Henderson pressured Belfort against the cage, ducking his head in the process and looking for one of his signature power-hooks. As he plodded forward, Belfort retreated. With Henderson coming forward, in a seemingly defenseless position, the Brazilian bomber lowered the boom on Hendo with a crushing left uppercut. Henderson fell to the mat in a heap, and fought off his surging opponent. 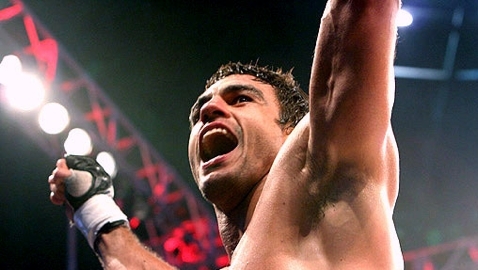 As the former Olympian looked to survive, grabbing at anything he could find, Belfort upped the attack. During an intense scramble, somehow, the American managed to get to his feet. Unfortunately for the remarkably resilient Henderson, it didn’t take long before the final blow was struck. 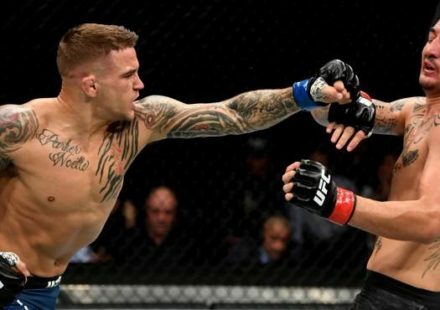 As Henderson stood, visibly wobbled from the uppercut just seconds prior, Belfort snapped off a wicked left high kick that connected square to Henderson’s face. The American found himself once again with his back to the mat and an angry Vitor Belfort perched above him leveling power shots from a postured position. The official end came at 1:17 of the first round for Vitor Beflort. The crowd erupted in an obvious show of support for their countryman. After all, not only was this Belfort’s third consecutive knockout win, this brutal display of power also marked the first time that Dan Henderson had been finished via strikes in his entire career. Henderson has fought professionally since 1997, and has 40 career fights to his credit. Most of these opponents were world class competitors who are as deadly as they are legendary. None of them were able to do to Dan Henderson what Vitor Belfort did on Saturday night. With three consecutive victories under his belt over top competition in Michael Bisping, Luke Rockhold and Dan Henderson, respectively, Belfort is now primed for a legitimate shot at UFC gold once again. Conversely, for Henderson, this fight with Belfort was the last on his UFC contract and it couldn’t have come at a worse time. 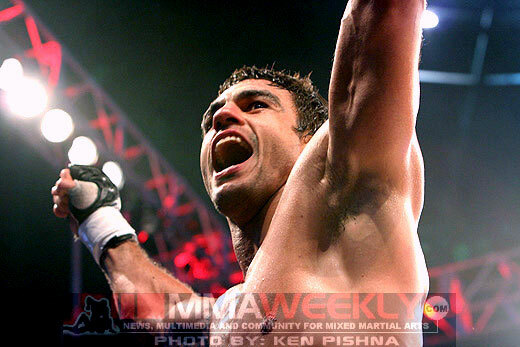 The MMA legend now finds himself with three consecutive losses (albeit two close split-decision defeats) to Lyoto Machida, Rashad Evans and now Vitor Belfort. On Saturday night, fans of Belfort got the chance to see the continued resurgence of a once forgotten legend, and fans of Henderson were left with a much different feeling. And one can’t help but ask: was tonight the last time we will see Dan Henderson fighting in a UFC cage? 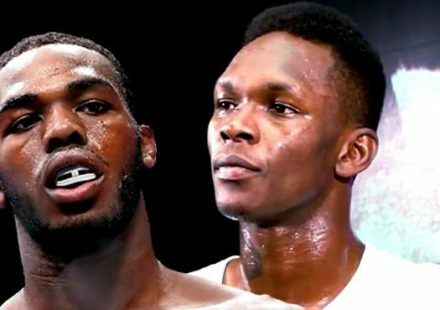 The ebb and flow of the fight game… always exciting, and rarely predictable.